In the Seattle area when people think LASIK they think TLC Laser Eye Centers. The TLC Seattle Laser Eye Surgery Center is a leading LASIK provider with extensive experience using advanced state-of-the-art laser technology. The team at the TLC Seattle LASIK Surgery Center, led by surgeons Dr. Michael Belin and Dr. Thomas Gillette has a long track-record of providing superior care and LASIK outcomes to their patients. TLC surgeons Dr. Belin and Dr. Gillette have been performing laser vision correction surgery since the 1990’s and are considered international experts in the field of refractive surgery. They are some of the area’s most experienced laser vision correction specialists. Schedule a Free LASIK Consultation in Seattle today! Dr. Kim Kron was born and raised in Montana. 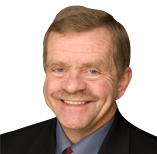 He attended Montana State University and received his Doctor of Optometry Degree at Pacific University in Oregon. Dr. Kron honed his Optometric skills in the Military...finally settling in Marysville, WA to open his MVS Clinic and raise his family. Originally from Southern California, Dr. Mayemura graduated from California State University, and the Southern California School of Optometry. Dr. Mayemura has clinical experience in VA hospitals; HMO; specialty vision therapy;commercial and private practice. 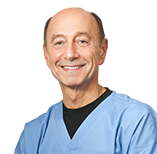 Dr. Habib was born in London, England and grew up in the greater Seattle area. He attended the University of Washington went on to complete his doctorate at Pacific University College of Optometry, graduating with distinction. Dr. Yeh has extensive experience in primary eyecare, contact lens fitting, and co-management of LASIK and cataract surgery. He monitors patients for cataracts, glaucoma, age-related macular degeneration, as well as diabetic and hypertensive retinopathies. Dr. Mina Fordyce was born in Torrance, California but grew up primarily in Bellevue. She received a bachelor’s degree in Biology from University of California Los Angeles and her Doctorate of Optometry at Pacific University College of Optometry. Dr. Jones grew up in Nebraska, studied at Nebraska Wesleyan University and received her Doctor of Optometry degree with honors from Pacific University College of Optometry in Oregon. She spent 13 years in a small practice in Beaverton,OR before coming to Washington. Dr Jones is married with 2 kids. Dr. Bessie Pian received her Doctorate in Optometry from UC, Berkeley. 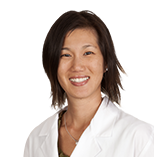 Upon graduation, Dr. Pian moved to the Eastside with her husband, Dr. Tony Wong, and has been practicing in Washington since 1998. She has two daughters. She enjoys spending time with her family, cooking, travel and fitness. Dr. Kurt Russell earned his degree from The Pennsylvania College of Optometry at Salus University in Philadelphia. During his training, he received clinical honors. Dr. Russell enjoys working on classic and special interest automobiles, weight lifting, macro photography, and mountain biking. Dr. Ozkan joined Lake Union Vision Clinic when she moved to Seattle in 2014. Dr. Ozkan earned her degrees from the University of Waterloo in Ontario, Canada. She enjoys seeing patients of all ages. She volunteers her skills and expertise both locally and abroad and loves exploring the Pacific NW.